There are really no words to express how much I love Kagawa's Iron Fey/Call of the Forgotten series. I've read many books about faeries, and these books still remain my absolute favorites. 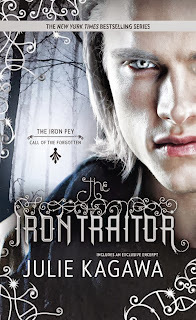 The Iron Traitor is a wonderful, spellbinding sequel that swept me away on a magical adventure. I really love Ethan. 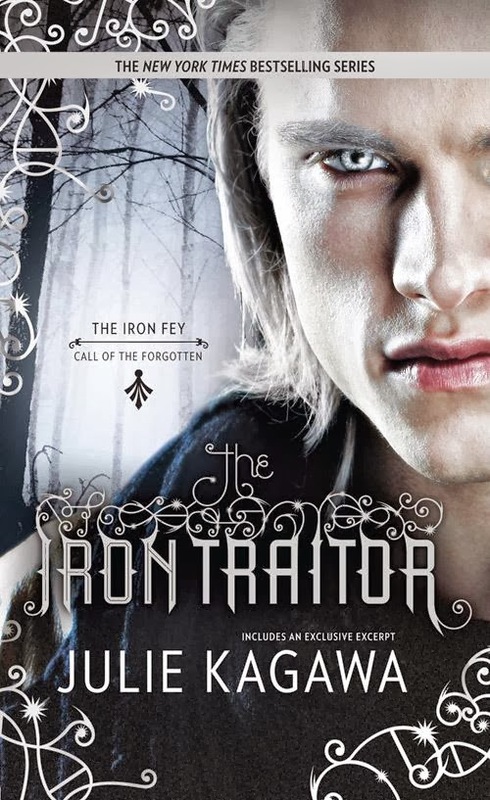 In The Iron Traitor, he's so protective of Kenzie and it was sweet to see how much he cares about her. His care for Keirran is touching, also. Even though Kierran makes some bad choices, Ethan still tries to understand him and be a friend to him. I love the relationship between them. Oh, and I'm also really in love with all the minor characters that pop up. I mean...Grimalkin! What Iron Fey book would be complete without an appearance from everyone's favorite grumpy cat? (And I am the only one who always thinks of Grim when I see the grumpy cat meme?) And Razor. Oh goodness, I love Razor, he's so hilarious and cute. Also, Puck and Ash play a small part near the end of the book. Let's just say I was fangirling and squealing pretty hard. But one of the best things about this book is Kagawa's writing. She just makes the world of the Fey come to life with her gorgeous descriptions. It's so haunting and magical, and it really makes me feel like I'm in a fantasy world. It has a whimsical and enchanting feel that reminds me of Alice in Wonderland. Oh, and I have to mention...that cliffhanger at the end? Brutal. Truly brutal. I stared at it for a full minute in disbelief because WHY would you end a book like that?! I need the third book so badly! While I loved this book, the only reason I gave it four stars instead of five is because the beginning is rather slow. It took a while for Ethan and Kierran's adventure to get started, but once it did, I couldn't put the book down! This sequel is absolutely amazing and if you've read The Lost Prince, then make sure you get your hands on The Iron Traitor as soon as possible! * I received a free copy from Netgalley in exchange for an honest review. Thank you!